"The Sound is totally different from what you normally hear from Pressure – this is the grass roots foundation"
When Pressure was in his teens he travelled from his home island of St Thomas to London to compete in a school bands competition. At the time he was the band’s drummer and his skills wowed rival students and spectators. “People were amazed by the drumming” he recalls, “They were like ‘I don’t know where he’s from but this small island youth can drum’”. 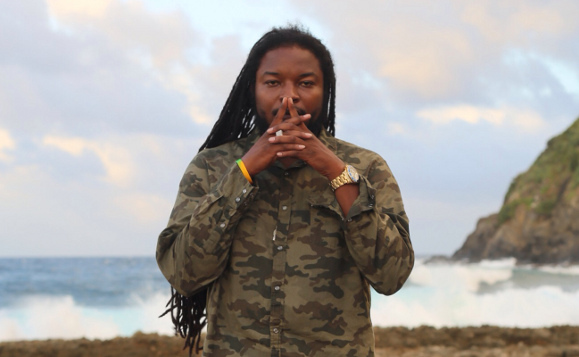 It was Pressure’s first taste of being a small island boy making a big impression with his musical talent. 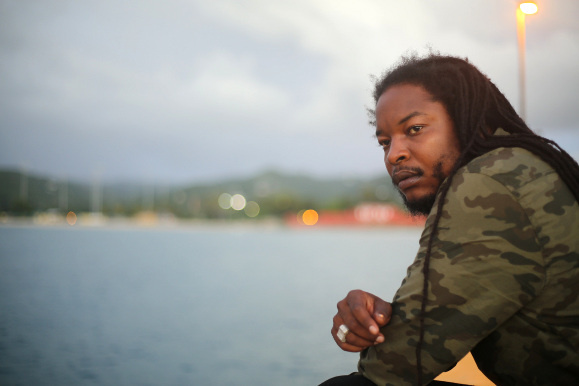 A decade later he would become one of the hottest artists in Jamaica with his Don Corleon produced hit Love and Affection – no mean feat for a Virgin Islander in a market that traditionally favours its own. Yet the thickset deejay with a yearning, broken-toned singing voice has never forgotten that he is a VI reggae artist. Right now he is talking from the studio of I Grade Records’ Laurent ‘Tippy’ Alfred in the larger Virgin isle of St Croix – where he has been working on his fourth album The Sound. “It’s totally different from what you normally hear from Pressure – this is the grass roots foundation we at right now – Virgin Islands music”. He was born Delyno Brown on August 5th 1981 in Charlotte Amalie, capital city of St Thomas in the US Virgin Islands, to the east of Puerto Rico. The islands were colonised by the Danes and used for the sugar and slavery trades in the 17th century before being purchased by the United States in 1917. St Thomas, at the archipelago’s western end, has a land mass of 32 square miles and a population of just over 50,000 – 18,000 of whom live in Charlotte Amalie. Delyno was the fourth of six children by his father Irvin, a calypso, Latin and jazz drummer and radio personality who drove a taxi to support his family. Irvin had a son and two daughters from a previous marriage when he met Pressure’s mother Carol, who worked as a secretary. Delyno arrived first of a further three. While music came from his father’s side, his mother’s family were gifted in sports. His uncle is Will Peterson who played basketball for the NBA’s Atlanta Hawks. Delyno dreamed of playing pro baseball until age nine, when music took over. His ambitions to beat the drums like his dad were temporarily thwarted when the band instructor at Lockhart Elementary school insisted he play trumpet instead. “Everybody wanted to be a drummer” he explains “so I picked up the trumpet. I had no choice because I loved music, so I’m going to be a part of this band no matter what”. This would be the first of several instances where his musical desires being stymied led him into something new. Like gushing water, Pressure’s talent would flow in all directions to get around obstacles and burst through artificial dams. He also took up the steelpan – a melodic percussion instrument originally made from disused oil containers. He joined Rising Stars Youth Steel Orchestra – a government organisation “My mum and dad placed me in so I wouldn’t be on the streets doing anything… you know”. Invented in Trinidad allegedly in response to percussive African drumming being banned by the British, the steelpan has a significant history and could be seen as influence on Pressure’s rhythmic melodious style. “It brought an African feel. It has a spirit where you can play any song on just one drum”. Yet back then, Delyno viewed it as a compromise compared to kit drumming. “My father was a known drummer in the community so I was like ‘Steelpan is good but I want to take this on a different level’”. Along with the steelpan and trumpet, Reggae came calling. An older cousin played him Shabba Ranks’ Golden Touch album and brought him to see Jamaica’s then hottest microphone talker in concert (“I saw the crowd rocking and the girls I want to be with hollering for him!”). His family connections allowed him to meet the great man briefly backstage. “The guy that was driving the limousine was a friend of my father. Shabba saw me and my cousin running about, rolled down the window and was like ‘Eh Yout… Wha Gwaan?’ I said ‘You know something? I want to be like that’”. By high school, Brown had learned enough calypso and dancehall beats for the band instructor to let him drum on a few tunes. His passion and ability quickly brought him into the Charlotte Amalie High School jazz, choir, marching and steel bands. “When I found drumming I was like ‘This is what I want to do. I feel good, everybody knows me, everybody loves me and wants me to be part of their band’. I was the school’s main drummer and that was what I could see myself doing for the rest of my life”. Pressure calls this period of confinement “the bridge to where I started to sing”. In his bedroom he began to write and chant lyrics. “I was listening to a lot of Sizzla, Capleton, Jah Mason, Anthony B. I was full-fledged into the culture”. Rastafari and black consciousness had taken root while back in St Thomas. “There were a lot of Rastafari in the community – my uncles were Rastafari so it was easy to find who I was”. He wasn’t “following something like ‘because everybody has locks I’m going to put locks on my head’ – I was hailing the King from 9th grade in ’94 and didn’t put locks on my head until 2000”. The song, Ghetto Youth, was the kind of culture chant for which Pressure would become famous. When he sent a copy - along with another demo I See Rastafari - to his St Thomas friends they were even more amazed than his uncle. “They were like ‘This is what we dealing with right now. We have a lot of people chanting! You need to come home and start something up!’ So I called my mother and said ‘Mom I can’t deal with this anymore. I’m sorry whatever I did, please send for me to come home”. On returning he found his parents had separated so he moved into a small wooden house on a property left by his recently deceased godfather. He sang for free at local shows, finished school and hustled – taking the name Pressure due to the pressure he was under to make ends meet. Later he would extend it to “Pressure Buss Pipe” - a country saying told to him by an elderly neighbour. 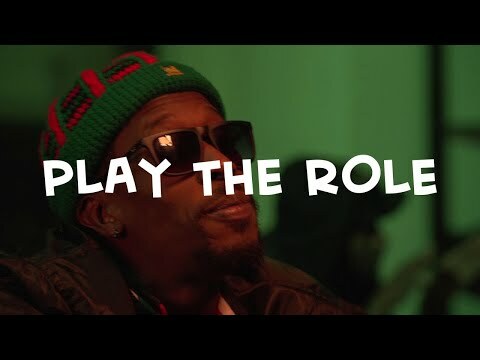 His father, who had given up on his own music career due to lack of earnings, wanted him to join the army (“He was like ‘Listen, get a 9 to 5 and do music on the side – make sure you have a sure cheque at the end of the week’”). But his mother was supportive, saying “‘If this is what you want to do, you sound good, everybody’s talking about you, I’m supporting you.’ My main foundation was my mother”. Pressure persisted. He linked with high school friends “chanting, doing talent shows and opening up for shows”. Eventually he formed a seven piece group called Star Lion Family with likeminded artists from the eastern part of St Thomas – all from different warring communities “but all with one mission - the love of Rastafari and to sing good music.” They opened for Sizzla, Capleton, Buju Banton, Sean Paul and Junior Kelly until they were the number one opening act in St Thomas. This “was where people in the island started to really recognise Pressure”. When Star Lion Family performed in St Croix the young man’s voice caught the attention of producer Dean Pond whose releases with Army and Apostle were “mashing up the island”. He approached Pressure backstage about working together. The result was promising 2005 debut album The Pressure Is On, created on a two week trip to Pond’s studio in Miami, Florida. “Me and Dean spent every night in the studio recording one song a night until the album was done”. Meanwhile, Pond was supplementing his income by working at Miami’s Guitar Centre. A regular customer was none other than Donovan ‘Don Corleon’ Bennett – Jamaica’s dominant producer who had reignited the reggae market with his Dropleaf rhythm (fusing a fast, rocksteady “one-drop” beat with shameless pop hooks). Pond passed Don The Pressure Is On and he listened to nothing else during his Florida trip. He sent the deejay-singer a zipfile containing 13 of his R&B kissed radio-friendly backings. The third track would become the base for Love and Affection – written four hours later about Pressure’s feelings for the mother of his daughter; “It was like I was watching her and she wasn’t even there. It was just she in my mind alone”. 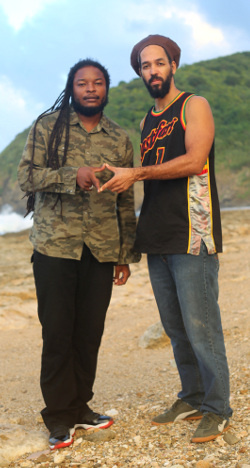 Both Pond and Corleon were impressed with the demo – the latter demanding that Pressure come to Jamaica and re-voice it in his studio. Unlike many small island artists Pressure was instantly accepted by the Jamaican public. “It was a great feeling coming from the Virgin Islands,” he agrees “We have Midnite from St Croix who are a popular band internationally. But to get recognition doing reggae music you have to have a certain authenticity. I’ve studied the music and culture of Jamaica, reading up on the artists that I love. It helped me know ‘this is wha gwaan’ and deal with the thing”. Before he left for Jamaica Pressure had already begun writing the songs that would make up his second long-player Love and Affection, produced by the Don and again recorded in just two weeks. These included the roughneck rubadub Ghetto Life and the seamless pop roots perfection of Be Free – a Rasta sermon bearing the Obeah lyric “Who the most high bless no wizard can curse”. Often the tongue-in-cheek preserve of rock and heavy metal, the wizardly words here are dread serious. “The wizard” says Pressure “is any form of iniquity that may come against man. Magic and any form of wickedness. Because once the most high bless you - no wizard, no scientist, no iniquity worker can curse you”. It’s clear that a desire for adulation was a key factor in motivating Pressure’s quest for a music career. But unlike some who are catapulted into Jamaica’s big leagues he did not make commercial success his sole priority. Instead he reconnected with Dean Pond to cut third album Coming Back For You. “I’m a grass root,” he explains “I’m not about hype, trying to conquer the world and being the number one artist. I’m level with the people; that keeps me grounded. Even though Dean linked me with Don and then I stepped on to work with Don, I put that album together with Dean to show the world this is how we deal with things as brotherhood”. 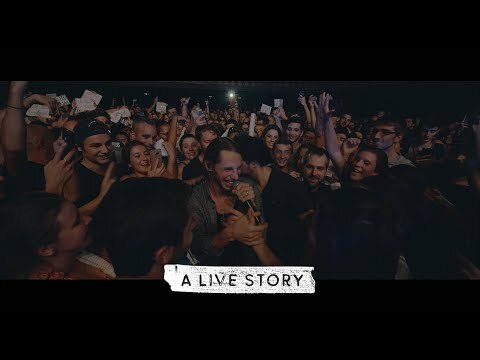 Pressure again reached out to people that helped him up with one of that record’s most unusual moments – a full-on heavy rock version of I See Rastafari - one of the tracks he demoed back in Georgia. “There was this sound system while I was in school called Megasounds, and Omari one of the brethrens was part of the school band. One night at a party he told me he wanted me to sing I See Rastafari on a dubplate and everybody loved it so much that he became a producer. Years after we linked when he was working in a studio in downtown Orlando where people like Bunny Rugs [from Third World] passed through. He had this crossover rhythm Megarock so I said ‘You helped me to make this tune known amongst the school so it only work out now that I sing this song for you’. The Megarock had the guitars but never had that booming sound so Dean put some live drums on it that brought the song to life”. The outcome was a blistering attack on both Babylon and closed-minded reggae purists who seem to view black people picking up loud guitars post-Hendrix as a bad thing. 2012 was an eventful year for Pressure. The ghetto warfare his mother feared nearly claimed him when he was hit in the leg during a shootout in St Thomas which killed friend and promoter Shamal Smith. “My brethren was a notorious youth who’d been getting himself into things from long time. Somebody thought it was the perfect time to get at him. I heard a gunshot and then the gun jammed so I used that opportunity to run. It made me closer to the most high and realise life can be taken from you any minute – it just wasn’t my time”. There was also talk of a second Don Corleon album – what happened? “I haven’t spoken to Don in a long time. If Don never believed in Pressure I would probably never be heard on that level. I just decided I wanted to work with other people and not carry one sound the whole time. Me and Don Corleon never fell out – there was just a break in the link. If Don calls with a rhythm I’m going to voice the rhythm”. In the meantime, keeping his pattern of rotating one VI and then one JA project, Pressure is gearing up for the release of The Sound with Tippy this month. The deep meditative rhythms, built by the US/VI production trio Zion I Kings, are a far cry from the roots-pop of the Don. Where Africa Redemption gets Pressure excited – mention The Sound and his mood changes to profound spiritual awe. “The works between me and Tippy right now is Jah Works. Every day it seems like Jah is taking our hands and our mouths and making us say this. It’s a feeling I have not been feeling for long time. The foundation rootical feel the rhythms bring carries a sound like none other”. 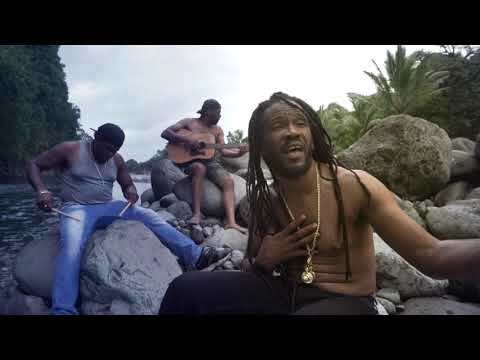 The Sound is one of a trio of albums being recorded as one communal project between Tippy, Zion I Kings and Pressure, St Croix roots intellectuals Midnite and Jamaica’s Lutan Fyah. Pressure has known Tippy since 2003 when he sang a feature on Geoman - Midnite’s first album for Tippy’s I Grade records. Now Vaughn Benjamin, prodigiously intelligent lead singer of Midnite, is featuring on The Sound and Pressure is on Midnite’s new opus Beauty for Ashes. He’s temporarily lost for words when describing his reasoning with Vaughn “He’s on a whole different level. And it’s natural. It’s not even like he’s trying. This is who Jah has created him to be. 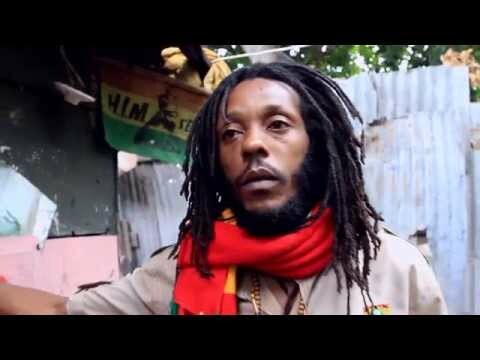 He is my teacher – when I sing songs I think about what he is going to say when he hears it – through his music he helps strengthen me as a Rastaman”. He, Vaughn, Tippy and the VI artists have been holding dub sessions in St Croix’ Frederiksted Fish Market. Listening to Pressure chat lyrics from his Don Corleon hits over the slow dubby I Grade backings they are transformed: it is clear this album will be Pressure’s rootsiest yet. “It carries the sound that is missing in reggae music right now”. They’ve also been shooting a video for next single Virgin Islands Nice which name-checks the region’s past and present greats. These include basketball player Tim Duncan, pan-Africanist Edward Wilmot Blyden, and hard-punching former world champion boxer Julian Jackson, who appeared in the video. “He came from the same ghetto as me,” says Pressure “He’s a youthful person. We had him do a little spar and he just went in like he had a flashback! It was like he going to knock somebody out! He told me ‘This song is a hit’”. There are also plans to come to Europe in April with a hired European band, then follow up with a tour in autumn with Zion I Kings. “I’m grateful to let people know I’m from the Virgin Islands and that Jamaican reggae is the world’s music. Music that inspired youths from a different island – an island so small you can’t even see it on the map – but great works is coming from that island”. Beyond this he’s just going with the flow. “All I know is I have two albums about to hit the people like a bomb. I don’t know what Jah has in store for me after that”. This article was originally published in German for the March/April 2014 issue of Riddim magazine. It appears here in English for the first time. hello every one I met with this prophetoaikhinan.nelson@yahoo.com and I finally find out that he is really a truthful spell caster and so powerful and he is the most powerful spell caster that I have ever met. I wish I have met him before wasting money on fake casters, after using his love spell, my husband came back to me and every thing happened just the way prophet Oaikhinan had said it, I am so happy that I have met with prophet Oaikhinan and now I have my husband back to my self. if you need help try prophet Oaikhinan just have to do so and get your lover back. I have tested him and I am now a fulfilled woman.